West Yorkshire is a hotbed for beer. With even more breweries than London (60 to London's 54, according to CAMRA's 2015 Good Beer Guide), you'll never want for great beers when you visit God's Own County. It's all down to the heritage West Yorkshire has. And the water. Yorkshire has good water. Name a popular ale and it's more likely than not been brewed in West Yorkshire. From Timmy Taylors and Tetley to the modern breed of brewers including Magic Rock and Northern Monk, it's a movement that's only growing and growing as the years go on. 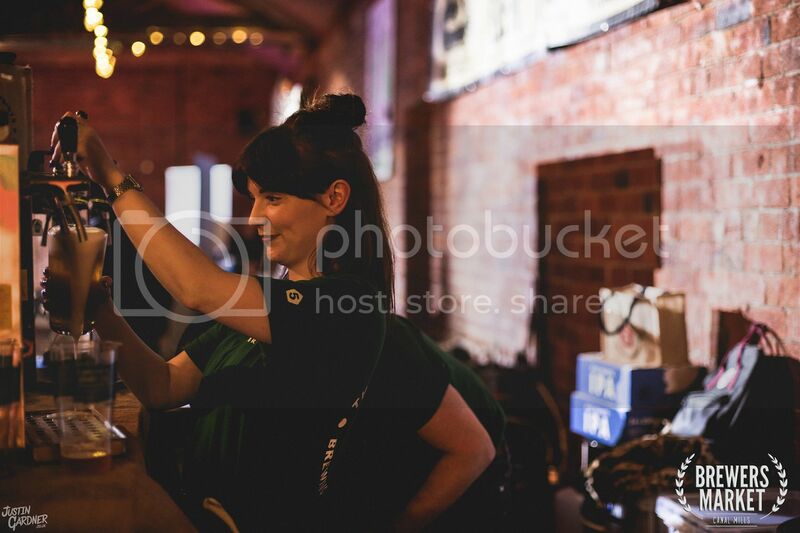 But the Brewers Market at Canal Mills isn't selfish enough to just keep it close to home. It's a celebration of beer as a whole, and the great food and good times that are sure to follow. Tucked away on the outskirts of Leeds city centre, not quite the sort of place you'd stumble across on a night out, lies Canal Mills. An 18th Century textile mill, it's acted as a sort of blank canvas since being taken over in 2012. 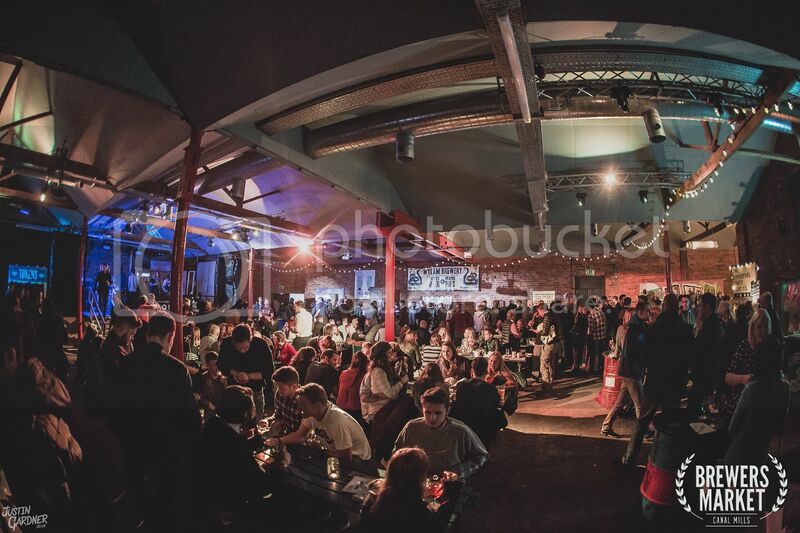 Gigs, street food festivals, club nights; the space is chameleonic, ready for almost any purpose. In short, it's Leeds' answer to Manchester's long-established Victoria Warehouse. 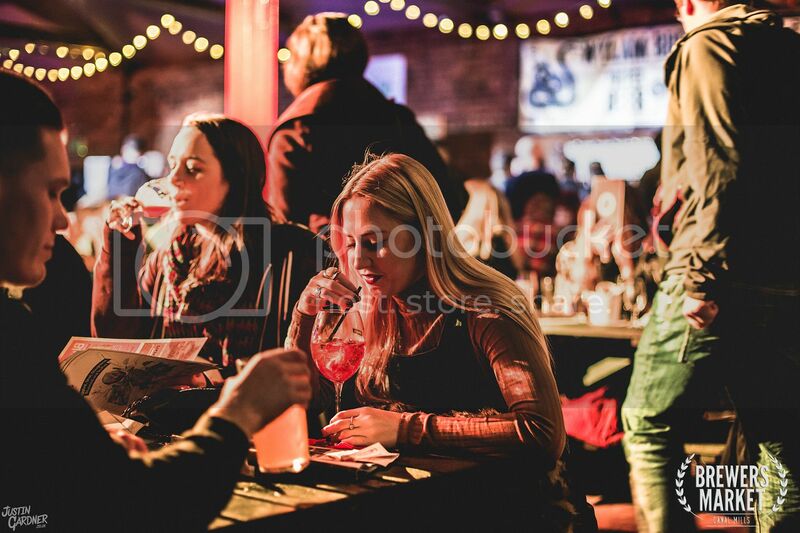 For this weekend, Canal Mills has been taken over by some of the UK and abroad's very best brewers and street food merchants, with plenty of art and music going on to boot. From Colorado's Odell Brewing Company to Leeds' very own Tall Boys Beer Shop, the expansive warehouse, decked out in lights and impressive murals, is like a who's who of modern craft beer heroes. Given a pint glass upon entrance, this is to become my trusted friend; my Wilson The Volleyball, only filled with beer. The first challenge: find something to drink. With everything from IPAs to Porters, Lagers to Pilsners, it's like Harrods but for grown-ups. The choice is overwhelming but I settle for a Fourpure Brewery IPA, a golden beer with all sorts of citrus flavours going on. The next challenge, though, seems to be finding somewhere to sit. With an array of benches across the middle of the room, each one is packed with beer lovers and dragged along loved ones alike. It's an impressive turn out for somewhere as far out of town as this, compared to your more traditional drinking holes; perhaps a testament to the appeal of the wide variety of beers on offer. So we take to wandering around Canal Mills and stumbling across a room taken over by ping pong and what looks to be a game of Sensible Soccer being projected onto a screen. The place is buzzing; a hive of chatter with a varied mix of music being pumped into the room that stops chatters in their tracks to start belting out the lyrics (by the end of the night, dear reader, I too was one of those when Tears for Fears came on). It was impossible to just take a seat without striking up a conversation with a stranger sat next to you, feeling less like a bar on a Saturday night than one big party. Talking about the Brewers Market without even mentioning the food is a crime. 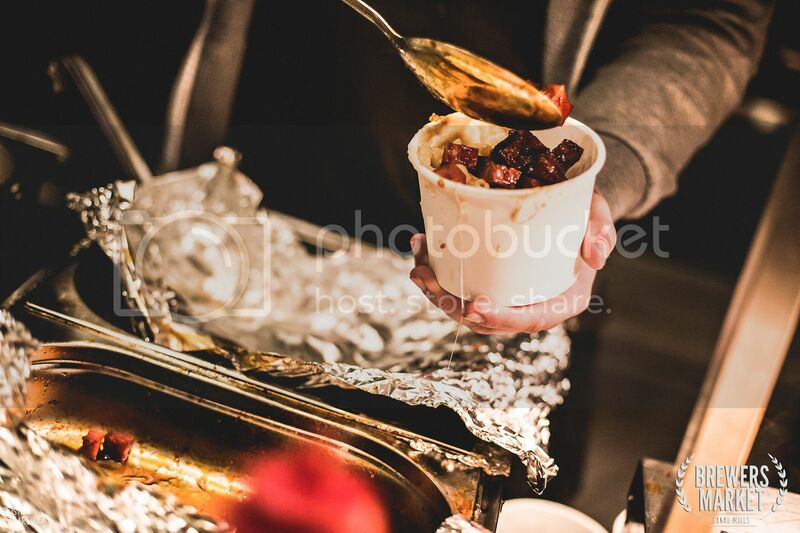 Leeds has become something of a street food Mecca, with the monthly Belgrave Street Feast at Belgrave Music Hall & Canteen drawing in huge crowds to sample the rotating programme of eats. Brewers Market saw many of the local heavy-hitters, often to be found in Trinity Kitchen most of the time, parking up outside among the smokers. It being a Saturday and planning to drink quite a lot over the course of the evening (though drinking that sadly didn't include Magic Rock's amazing High Wire Grapefruit, which sold out very quickly), I wanted to prepare my stomach. First course came courtesy of Mac Shac, Yorkshire based Mac & Cheese enthusiasts who know what makes a good Mac & Cheese. Simple to make but easy to get wrong, Mac Shac get it right with just the right amount of stringy cheese and, for me, plenty of chunky bites of chorizo. Next came a spicy paneer wrap from Manjit's Kitchen, serving up vegetarian Indian street food and snacks. Packed with flavour and bursting with ingredients, it's exactly the sort of thing you need to soak up the alcohol. Brewers Market wasn't all about beers, though. The Hedonist Project catered for the whisky and gin lovers, offering up a variety of exciting sounding cocktails, whilst Latitude Wines provided the grape. I, however, was there for the beer. But with so much on offer, whether you were there for the beer or were reluctantly dragged along, there was something to keep you in high spirits.